Cloud computing has passed the hype stage and is now mainstream. While many in IT understand the technology components that enable the cloud, it is the concepts and reasons that are missing. This course provides the overview that explains why the cloud is important, how to approach it and what to do to enable cloud from both a provider and a consumer view. You’ll learn the business needs and the technology enablers that lead to the creation of the cloud as well as the design patterns and approaches necessary to ensure you are building a cloud solution that meets the needs of your employer or your clients. The course outline is provided in the Details tab, you can also download a pdf version here. IT Professionals, Technical Architects, Enterprise Architects, Solution Architects, Infrastructure Architects, anyone that wants to understand more about the cloud. Workshop Materials - A list of the materials and textbooks that are included in the registration fee. This foundational course module provides end-to-end coverage of fundamental cloud computing topics as they pertain to both technology and business considerations. The course content is divided into a series of modular sections, each of which is accompanied by one or more hands-on exercises. This course module explores a range of the most important and relevant technology-related topics that pertain to contemporary cloud computing platforms. The course content does not get into implementation or programming details, but instead keeps coverage at a conceptual level, focusing on topics that address cloud servicearchitecture, cloud security threats and technologies, virtualization and containerization. Proven technologies are defined and classified as concrete architectural building blocks called “mechanisms”. The purpose of this course is to introduce cloud computing-related technology topics in a manner that is accessible to a wide range of IT professionals, as well as to empower participants with an understanding of the fundamental mechanics of a cloud platform, how the different “moving parts” can be combined, and how to address common threats and pitfalls. This course module provides provides a technical drill-down into the inner workings and mechanics of foundational cloud computing platforms. Private and public cloud environments are dissected into concrete, componentized building blocks (referred to as “patterns”) that individually represent platform feature-sets, functions and/or artifacts, and are collectively applied to establish distinct technology architecture layers. Building upon these foundations, Software-asa-Service (SaaS), Platform-as-a-Service (PaaS) and Infrastructureas-a-Service (IaaS) environments are further explored as compound patterns, comprised of unique and shared building blocks. implemented via cloud computing mechanisms and practices. This course module builds upon CCP Module 4 to provide a deep dive into elastic, resilient, multitenant and containerized technology architectures, as well as specialized solution architectures, such as cloud bursting and cloud balancing. The course organizes content so that architectural layers are explored sequentially and, where appropriate, in relation to each other. A hands-on lab during which participants apply the patterns, models, concepts, techniques, and mechanisms covered in previous courses, in order to complete a series of architectural and design exercises. This course module presents participants with a series of exercises and problems that are designed to test their ability to apply their knowledge of topics covered previously in course modules 4 and 5. Completing this lab will help highlight areas that require further attention and will further prove hands-on proficiency in cloud computing design patterns, technology architecture layers, mechanisms, industry technologies and practices as they are applied and combined to solve real-world problems involving IaaS, PaaS and SaaS environments. As a hands-on lab, this course provides a set of detailed exercises, that require participants to solve a number of inter-related problems, with the ultimate goal of evaluating, designing and correcting technology architectures to fulfill specific sets of solution and business automation requirements. The Certified Cloud Trainer works closely with participants to ensure that all exercises are carried out completely and accurately. Attendees can voluntarily have exercises reviewed as part of the class completion. Training starts at 9:00AM and we aim to finish around 4:30PM each day. Breaks are scheduled at 10:30AM, 12:00 noon and 2:30PM but the exact times will be determined by the trainer. The course is fully catered for; Morning Tea, Lunch and Afternoon Tea are provided. Please select your preferred location from the options and select whether you'd like Exam Vouchers, then follow the registration process. We do offer private workshops for companies that want to hold workshops specifically for their employees, please contact us directly for a discussion or quote. Accepted payment methods include Invoice, Wire Transfer, Credit Card (Amex, Visa, Mastercard) and Paypal. Please select the relevant city from the choices presented. The exact address of the workshop will be provided closer to the workshop date. You are not required to complete exams to attend this workshop. Exams only need to be completed by those interested in attaining certification credit. All workshop attendees are issued an official "Certificate of Completion" for this workshop. Those that pass the exams required for the Certified Cloud Architect designation will receive official certificate for this designation and will have access to the benefits associated with this certification. The workshop instructor will stay after each course day to provide any necessary exam preparation and tutoring assistance. The exams required for certification can be taken at any Pearson VUE testing center in the world or online via Pearson VUE Online Proctoring. See the Exams page for more information. Several of the course modules provided by this workshop also apply toward additional certifications, as explained at Cloud School Certification Matrix. Note: All quoted pricing is excluding GST. For customers with a billing address in Australia GST will be added during the check-out process. Ryan Chun is a Senior Certified Trainer for Arcitura Education, accredited to teach a range of SOACP, CCP and DevOps certification workshops. He has over 20 years of experience designing enterprise solutions for public and private sector clients and has delivered technical training to students all over the world. As a consultant, Ryan assists organizations with applying service-orientation to develop software that is extensible, easier to manage, and resilient to change. Typically serving as a solution architect, he develops roadmaps for moving IT organizations from traditional application architectures to lightweight service and microservice architectures that leverage advancements in containerization and cloud computing. These service applications are typically used to automate the aggregation and management of health, logistics, and financial data collected from line-of-business systems. As organizations continue to explore cloud computing as an option for outsourcing and consolidating IT services, Ryan has assisted various clients with evaluating the growing array of cloud offerings, working with them to develop strategies for moving key infrastructure and applications into commercial and government cloud environments. Ryan has assisted clients in the defence and financial services industry with evaluating public and private cloud offerings for hosting e-mail, productivity software, and collaboration services. 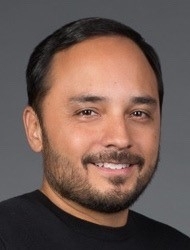 He was a technical manager for Hawaii's largest health insurance provider and has served as the Director of Solutions Development for a Microsoft Gold Partner. Ryan has been delivering courses for Silver Platypus since 2016.